Small Groups, year three. Five weeks of conversation that will explore Love. 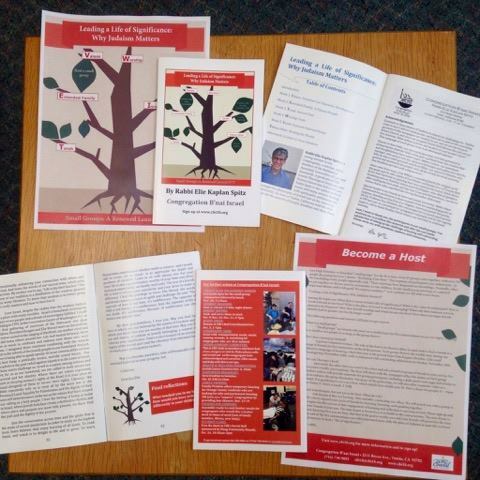 Rabbi Spitz has written a booklet that will offer content and context for you to meet with friends five times to further your understanding of how love informs your life. 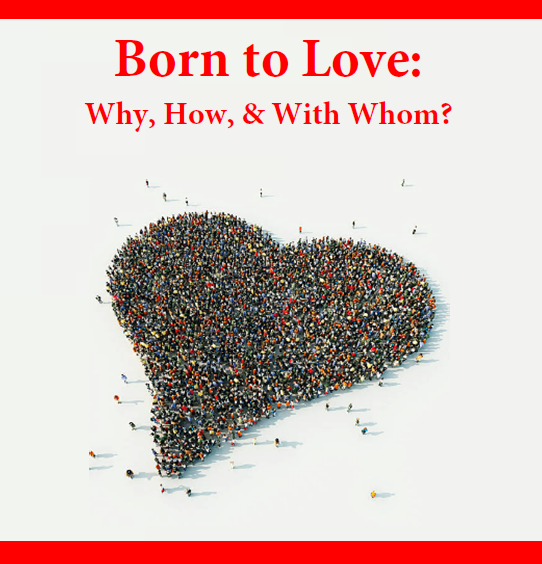 Click here for a PDF of the small group booklet: “Born to Love: Why, How and With Whom? Click here for the “Leading a Life of Significance” flyer. Among the topics are: What does it mean to lead a life of significance? What is the value of community? How is Torah relevant to our lives? What is the place of Israel in Jewish belonging? What role does Judaism serve in character development? How does Jewish worship and ritual elevate our lives? How does a stronger Jewish identity lead to greater care for the larger world? The following questions and answers will help you get started. “Small groups” are friends who meet on a weekly basis for five conversations on pre-set topics. A group is as small as two people or as large as the group desires. How does a group get formed? 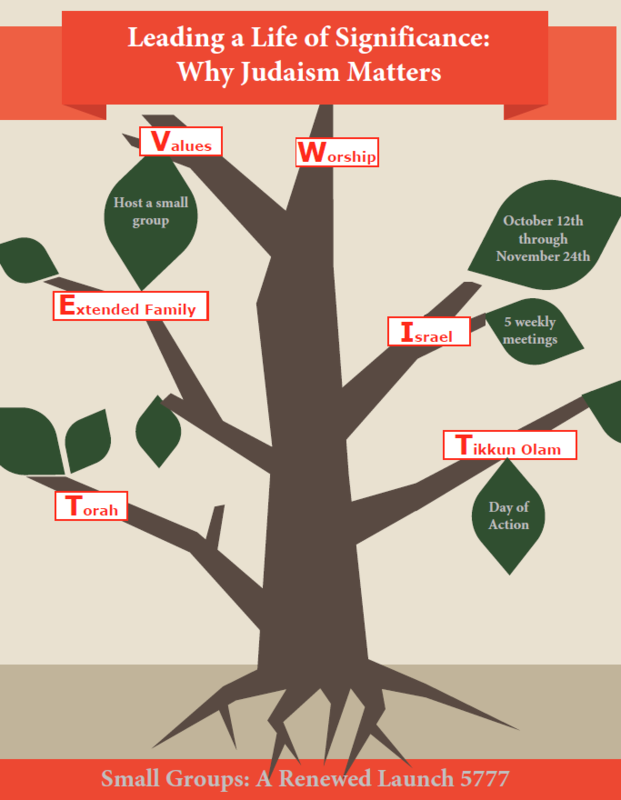 Thanksgiving (November 24th), with a communal wide concluding celebration on Sunday, November 20th. Just notify the office that you want to be a host and ask a friend of group of friends to join you for five consecutive weekly conversations. The host will share with the synagogue office the names of their group members and we will provide materials for group participants, including a daily quote and suggested articles to read to enhance the group discussion. For many of the gatherings, we will also offer a youtube video as a prompt. It is gratifying to serve as a host, which entails four simple acts: H- Have a heart for people; O – Open your home; S– Serve a snack; T-Talk. I want to participate, but not yet as the host. What do I do? Ask friends if they are hosting. Also consider, contacting our office. We will match you with a group to enable you to expand your circle of friends by learning, listening, and speaking together. The engine for the success of this engagement of learning and reflection is agreeing to host. Please sign up and get your friends to join you. The time frame is focused so as to build on the conversations. The time frame is limited, knowing that you are busy, but that if the goal is worthy you and your friends will prioritize the time. On the High Holy Days of 5776 (2015) my synagogue community launched a 40-Day campaign of learning and conversation around my book, Increasing Wholeness (Jewish Lights Publishing, 2015). The mega-churches, such as Saddleback, have used the format of small group learning as their engine of growth and community making. I was unsure if my busy constituents would buy-in to prioritizing such study time. They did and with great results, exceeding my expectations in both the number of people who agreed to host a salon of five one-hour conversations and the reports of the several hundred participants of their satisfaction in sharing meaningful conversations and learning with friends. Please let me know if you would like to receive the materials that accompanied the book – a host guide, a reader’s guide, and 40 days of quotes. What I share with you is a model that you might use with other books or materials. I now see small group campaigns as an essential vehicle for building and growing our communities. 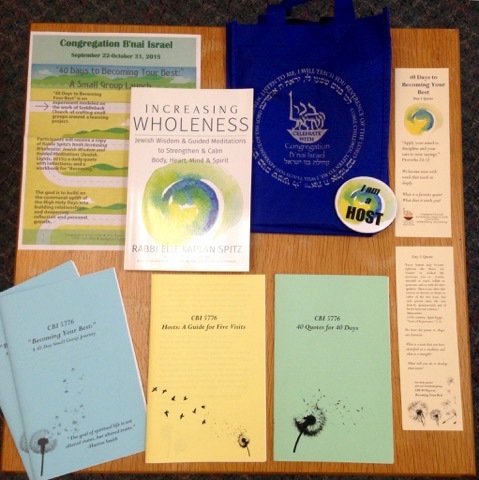 Increasing Wholeness: Jewish Wisdom & Guided Meditations to Strengthen & Calm Body, Heart, Mind & Spirit. by Rabbi Elie Kaplan Spitz, Jewish Lights Publishing, 2015.